Hi there - let’s talk about our production process. We briefly mentioned the steps of our process in a recent blog post. It might seem like an extra amount of steps to make a video that’s a couple of minutes long. But if you’ve ever made a video, you know that each step is necessary to achieve the high-quality video you need. But don’t take my word for it. I was curious what some of the key players at Good Brother had to say about the production process, so I chatted with the Russell Brothers (directors, editors, and EPs), and producer, Kyle McGuiness. Before I get into the nitty-gritty details below, I should mention that we have a few more steps than many production companies. 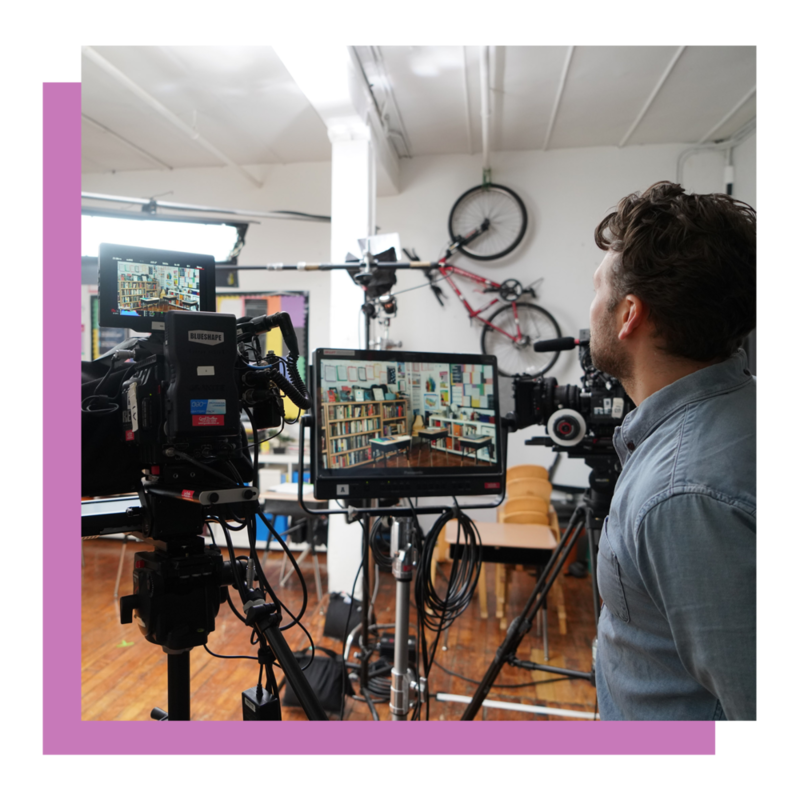 While production processes vary slightly from company to company, because we are a video production agency, creative development and copywriting is a part of the process for us (unless your company consults with an agency beforehand). Ok now onto the breakdown of our production process! RFP (Request for Proposal) & Proposal stage is where we determine the video objectives, who the audience is, branding elements or values, and the main objective of the video. RFPs should clearly define the project requirements. The budget and timeframe are flushed out from the get-go so that everyone is on the same page and knows what to expect. The RFP process typically takes 2-3 weeks, but can sometimes last months if the creative hasn’t been fleshed out ahead of time. Creative development is where we meet in person or on the phone to brainstorm ideas for the video. This process can be fast or slow depending if you have a general idea for you video already, or need some help coming up with one. Copywriting is the last step of the creative development process. During the pre-production phase, we create a detailed proposal that includes visual (and usually music/audio) references so we communicate that we understand exactly what the client is looking for before the shoot day. Location scouts, recruiting talent/actors, and getting the wardrobe ready all happen early on here so we can hold the spaces and people we want to work with. We finally get to make our ideas come to life during production. On shoot day(s), the entire crew travels to the set location(s). The video is directed by one of our amazing directors, and shot with state of the art equipment to ensure the highest production quality possible. Post-production is where it all comes together. A rough edit of the video happens, and then is reviewed by the client. Next the fine edit happens, followed by some more reviews. The review process is done within Frame.io, an easy and efficient platform we use to make collaboration process a breeze. The final delivery is the moment you’ve been waiting for. Any finishing touches are added (color correcting/grading, voice over, etc.) followed by several quality checks. Finally, the client gets their final video and they are over the moon about how amazing it is! This process might seem long and crazy, but with a thorough schedule, organized workflow, and seamless communication process, the process is actually pretty easy (for the client)! All these steps will be worth having an awesome, high-quality video to show off to your investors, customers, or friends and family!